Hire DMP for all of your Literary Needs! DMP’s Literary Agency aims to support, motivate and encourage all authors and writers in any genre. We distribute a weekly newsletter, host a blog for inspiration and offer various services to help authors and writers. We are currently taking clients! Creative Writing Workshop is BACK!!! The Creative Writing Workshop is back!!!! This fun workshop is filled with creative ways to bring out your creative side and get your writing juices flowing. Join in a seven day workshop that will help bring out your creative juices through writing prompts. Writing prompts will give you the inspiration and ideas to push through your own story. These prompts are specifically for writers who are having a hard time seeing the vision of their story. Writers will join a group on Facebook to be able to network with their fellow writers. Writers will have the freedom to go through all seven lessons at their own pace being sure to turn in all of their work by the end of the desired day. Writers will receive questions about the days prompt in hopes to get writers really thinking about the exercise and then apply the days work to their own work. This seven day workshop is $35 for the entire week. It will give writers the ability to network, draw ideas from this workshop to their own stories and novels as well as get the help and guidance they need for their story. 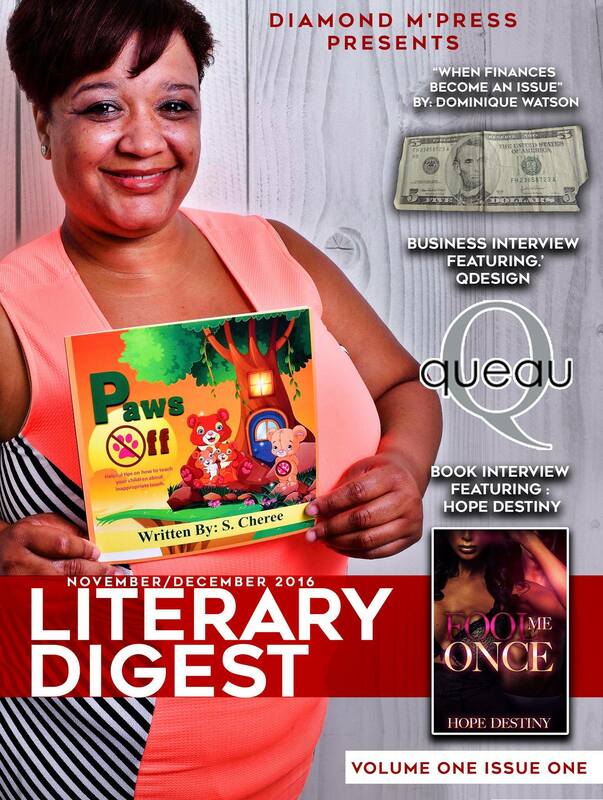 Literary Digest Hosts a Blog Tour!!! DMP will be releasing it’s first magazine issue on November 4th. In celebration of that release we are putting together a Blog Tour. We have a few events lined up for you. Tonight, we will be doing a twitter party to talk about the release, featured authors and how you can link up with DMP. This event is free of course. We’d love for you to come hang out with us tonight and talk all things literary and get to know the faces behind the business. You can also find out how you can be part of DMP, getting your work featured and more. So join us tonight on Twitter @DMPLit. Be sure to use the #DMPLiteraryDigest to connect with us during the party. See you tonight at 7pm est.